Did you know that you can have converse tennis shoes specially personalized by the company? 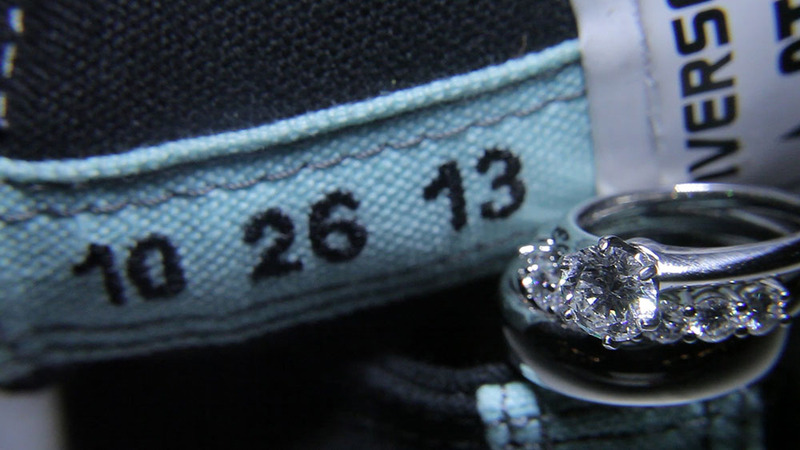 Kacy took this awesome idea, and she had their wedding date embroidered on the back of a pair of converse sneakers for Jason, and even cooler, she was able to select the shoes in the colors of the wedding! 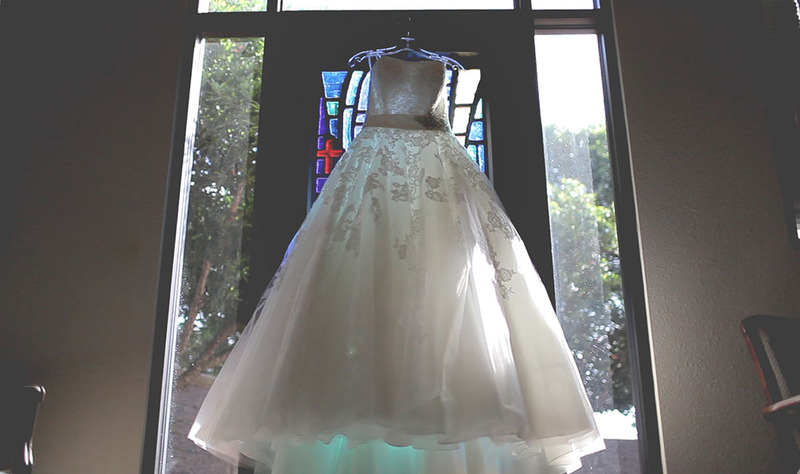 It was a great idea for a modern gift from a bride to a groom. In our introduction to Kacy and Jason's story, we talked about their proposal, and here, we are sharing their full film. "Most importantly, I want to thank you for marrying me. You make me feel like the luckiest person on this earth, and I thank you for that." Watching their wedding film is a reminder of that when you love someone, the sky's the limit for how far you'll go to let them know it (literally--Jason proposed in a hot air balloon). Their story is a reminder that heritage and tradition are most meaningful when shared by people who treasure their community (Kacy's garter was worn by every woman in her family over the past 50 years on their own wedding days). Their affection is a reminder that those who share love always delight in seeing each other blossom in their own personal pursuits and hobbies (Kacy is a NICU respiratory therapist, and Jason teaches both music and robotics). And lastly, no matter how surprisingly your story may begin, it does not compare to the surprises that await you in your future together. The exterior of First United Methodist Church, where the ceremony took place. The interior is a combination of modern architecture with key classical components, like ornate stained glass windows, and carved wooden pews. The reception site at Safari Texas hosts plenty of wild animals for guests to enjoy viewing during cocktail hour, and among its many dance halls and party rooms, Kacy and Jason chose this beautiful rustic lodge for their wedding reception, with string lights, branches, and rustic iron chandeliers hanging from the ceiling.